Ever since Europeans arrived on the Continent of America, the Amazon Rainforest has been the stuff of legend. Even the name 'Amazon' is derived from the Greek legends of Herodotus and Diodorus, as the initial contact with the tribes of the South American jungle brought to mind the ancient Amazons of Asia and Africa they had described. Even today, our knowledge of Amazonia is not as extensive as most other environments on Earth, and this gives rise both to its fascinating allure, but also to misgivings amongst those people wishing to visit. 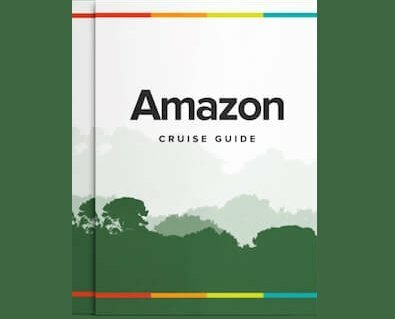 Here then is a short list of common misconceptions about Amazonia, and Rainforest Cruises' attempt to explode those myths, and by extension, promote the wisdom of taking an Amazon River Cruise to uncover this magical place. Many people travel to the Amazon Rainforest with expectations of seeing jaguars, anacondas and giant otter swimming around their boat. The truth is that the Amazon is a habitat, not a zoo. Animals often disguise themselves for protection from predators. In order to spot wildlife, you need to be very quiet and use each of your senses. This is one of the reasons expedition cruises are an ideal way to cruise the Amazon. Small riverboats enable travelers to access remote areas where wildlife is concentrated. When the group is small, noise is easier to control and will increase the possibility of viewing wildlife in its natural habitat. Listen to leaves rustling in the trees and you may just see a monkey. If you’re lucky, you may see colorful birds, such as Macaws flying home to roost in the evening. River dolphins can be seen in the tributaries of Pacaya Samiria during feeding time. One must remain calm, be patient, and let the jungle come to one. The experience is not only predicated on sightings of megafauna, but taking in the beauty and magic of the ecosystem itself. And what is certain is that you will see elements of the Natural World that will never be forgotten! While the Amazon is filled with amazing creatures such as jaguars, anacondas, and caiman, they have little interest in human contact. They prefer their natural diet. Most snakes and spiders in the Amazon are not venomous. They are afraid of humans so when they see them coming, they go in the opposite direction. Guests who visit the Amazon rarely come across dangerous animals as jungle hikes are taken on well-maintained trails. If you happen to see an animal that looks disturbed, threatened, or nervous simply inform your guide and calmly walk away. Then, be sure to tell everyone about the experience, as you have been extremely lucky to see nature at its rawest! The Amazon River is jam-packed with interesting wildlife, understanding and respecting their world will ensure your Amazon tour runs smoothly. Some people think of the Amazon as deathly hot, humid and filled with mosquitoes. While the Amazon is indeed humid during the rain season, the dry season can offer a pleasurable climate. Yes, it's hot in the sun, but the canopy provides a comfortable shade year-round. The majority of mosquito bites can be avoided by wearing tightly-woven long-sleeved clothing. Many Amazon riverboats provide air conditioned rooms with warm showers, and our luxury Amazon cruises boast amenities that many 5* hotels would envy. And while sailing along the Amazon and its tributaries, there is always a refreshing breeze to cool one down and keep insects at bay. If you are as concerned with comfort as you are with adventure, we can find the right Amazon Cruise for you. Although our vessels are 'expedition' boats, this does not mean you need to bring your pith helmet and rifle along. Travelers have a variety of activities and experiences for people wanting to visit the Amazon, most of which are family-friendly. While travelers should expect to get their feet wet, most of the activities are better described as 'soft adventure' and are appropriate for all ages and genders. Some additional activities aboard your Amazon expedition cruise include kayak, spa treatments, or yoga classes. While some visitors prefer to climb trees, go fishing or bush-wack through the forest, for others the Amazon can be a great place to relax and rejuvenate. Some uncontacted tribes still exist in the Amazon. They are not aggressive and prefer to stay away from other civilizations. However most native people in the Amazon live much like you and me. The indigenous people living along the shores of the mighty Amazon have a strong appreciation for and dependence on the forest for their livelihood. While they recognize their ancestry and engage in traditional customs, they wear modern clothing, go to school and participate in business. Participating in an Amazon Cruise helps to inject much-needed revenues so that they can preserve their cultures and traditions, while giving appropriate care and opportunities to their children. The Amazon is the largest rainforest in the world. It covers roughly 40% of the South American continent and is in part of eight countries. It is often referred to as the “capital of biodiversity” due to its incredible variety of plant and animal species. It is the ancestral home to around one million indigenous people who can be divided into around 400 tribes. The Amazon has an abundance of cultural traditions, natural properties, medicinal uses, and animal life than cannot be found anywhere else in the world. It is unique. The Amazon has an abundance of cultural traditions, natural properties, medicinal uses, and animal life than cannot be found anywhere else in the world. It is unique. To view all of our Amazon river cruises, look here.